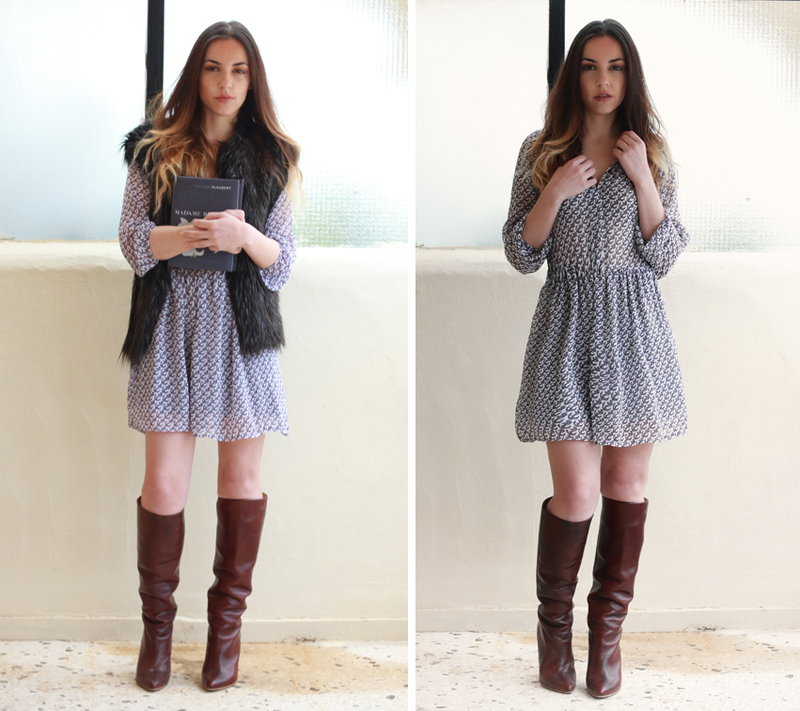 This type of dress is one of the most versatile ones and can be worn throughout the year. 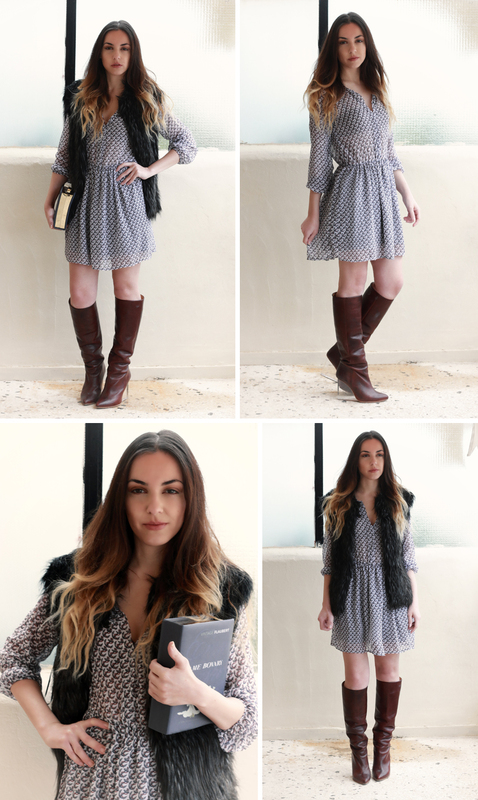 Today I tried a girly and bohemian look, matching my dress with sleeveless faux fur vest and a pair of leather boots. What are your thoughts?